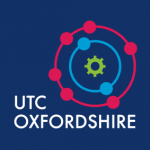 We are delighted that UTC Oxfordshire Sport was nominated for a Business and Community Award this year. cot First’s largest event that celebrates all the good practice and community spirit in the local area. UTC Oxfordshire Sport was nominated for an award for Business Sector: Best New Business and Community Engagement. As well as offering a brand new gym, the UTC has sport facilities which are hired out on a regular basis for community groups. Through this, the UTC has become a hub for lots of local sports clubs including adults as well as children.